Peterborough Marble & Granite Works, LLC offers full monument/memorial stone services, as well as a large variety of natural landscape stone products. At PMGW we are family, we will work together with you and your family to walk through the process of ordering a monument or marker for your loved one. We understand how difficult this process can be, and we will take as long as you need to ensure your satisfaction with our services. Onsite at our shop we have a wide selection of monuments to view and get inspiration from to create the perfect memorial. 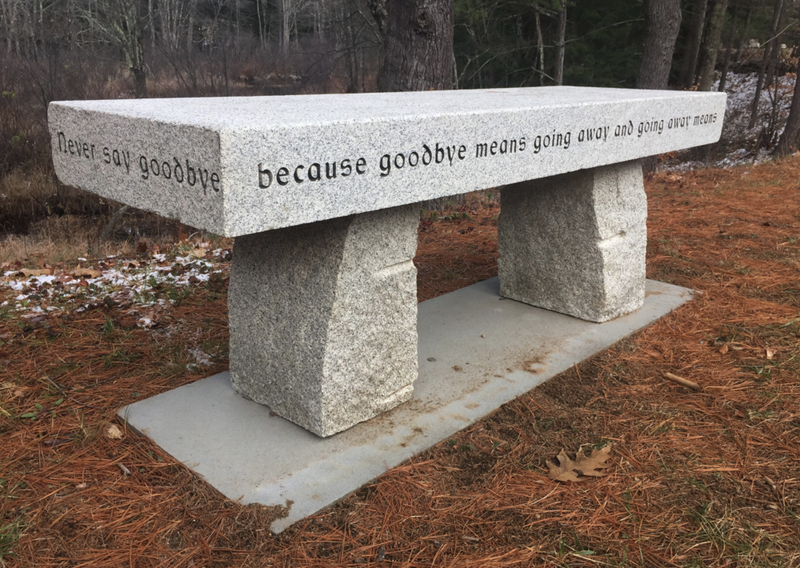 To fill the needs of any order we partner with other reputable New England based stone companies to source and create quality beautiful everlasting memorials for your family. We pride ourselves on the ability to customize any order to suite your needs. In our yard you can also browse our wide selection of landscape stone, including various sizes of cobblestones, bluestone, slate & granite pavers, both pattern & irregular. We also have goshen stone, new cut granite and antique granite steps and posts, and a wide variety of natural stone benches. Please feel free to call or email with questions! Browse our wide variety of services below to get a more in-depth look. Click on an image to learn more and explore our website!